This was the hike that wasn’t supposed to be. 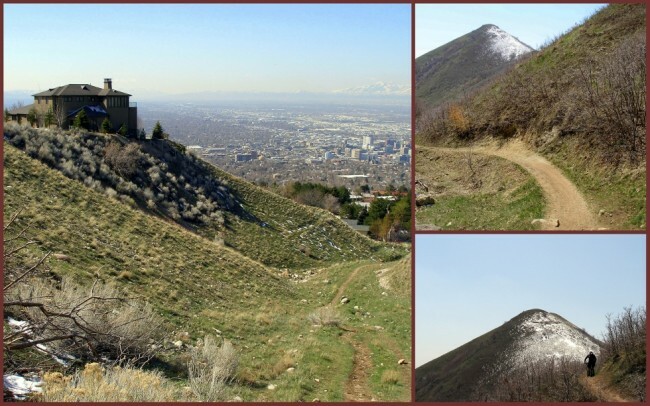 I was actually planning to take the City Canyon Hike in downtown Salt Lake City, but through some not-too-good signage I ended up on this trail, which between you and me was what I really wanted to do. 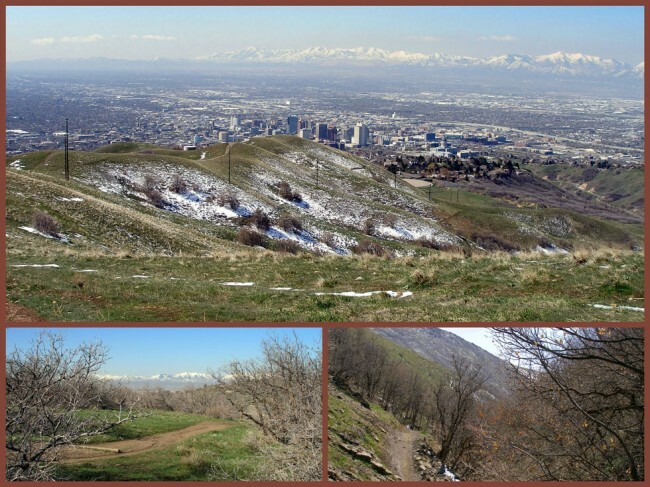 The day began with a frantic rush to drop me off behind the Capital building, where I was to walk straight downhill into City Canyon. When I reached the bottom of the blacktop road I found an assortment of options, none of which had specific signs pointing to the canyon trailhead, and so the adventure was on. As is always the case in such situations, I look for the trail that appears to be the most well-traveled and/or interesting. This time I saw one that disappeared into the woods next to a running stream. Though I was pretty sure it wasn’t the intended path, I thought it worth checking out. Shortly after making the move into the forest I found myself ascending at a fairly rapid rate up the side of the Wasatch Range. Every time I looked back I found myself getting a better and better view of the city. The dome of the Capital was an excellent gauge for my progress up the mountain. It didn’t take very long before the sprawl of Salt Lake City was far below, now so small that most details were lost with the gain in elevation. Here the terrain started changing. I was now for the most part above the tree line and found myself trekking through a varied trail. 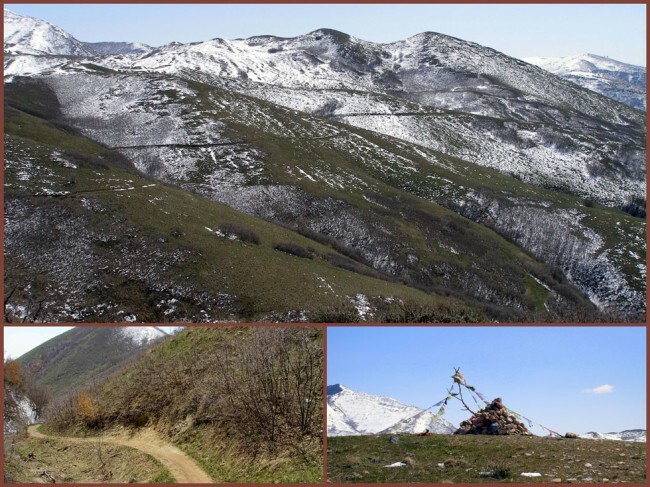 Some places were dry and level, while others were slippery with wet snow-melt mud and on some very noticeable inclines. A note on the mud, while much of it was slippery footing, some had an aggressive adhesive quality that seriously challenged my boot laces in keeping my footwear attached. Eventually I found myself in an Alpine paradise, tremendous snow fields, snow capped mountains on all sides, and the evidence of springtime breaking through the winter everywhere. It was an extraordinary hike by any measure. I spent the whole day on this hike and eventually found myself dropping back down into civilization. Once I got back into the city I caught a bus back to where my friends lived and spent the whole night telling them of this awesome hike, right in their backyard. 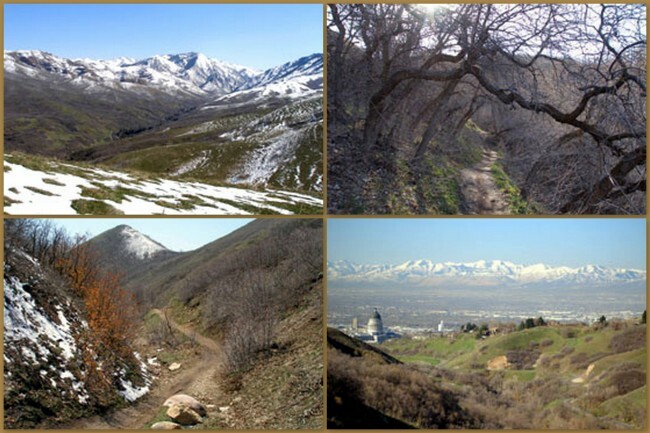 I highly recommend this one for anyone visiting Salt Lake City. Though it’s heavily used by hikers, bikers and dog walkers, there’s plenty of space for everyone. 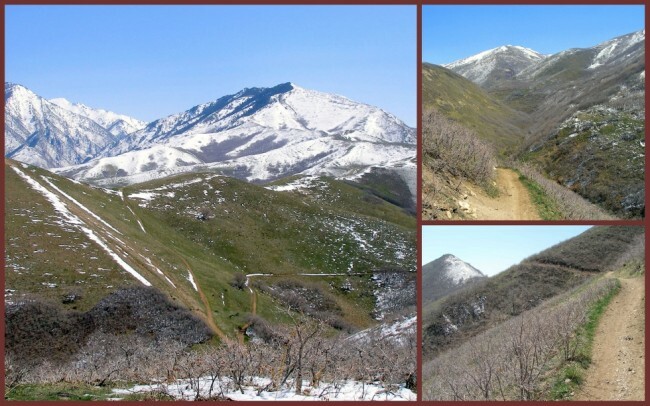 There are plans in the works to extend this trail to make it a 280 mile hiker’s dream. 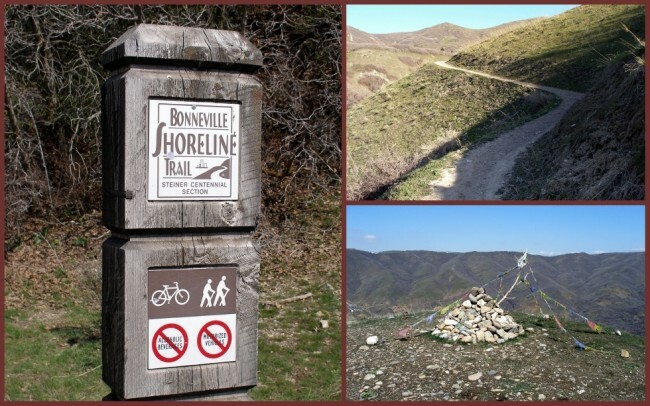 For more information on the BST, check out their website at www.bonnevilleshorelinetrail.org. Last modified on: January 21st 2014.